A product which having a total sales figure of more than 1000-buildings of Taipei 101 tower! PSK CC Cream, a transformation of new makeup concept from our all time bestselling product. PSK CC Cream, with Pearl Powder added, enhance metabolism, scrub dead skin, fade dull and brighten the skin. 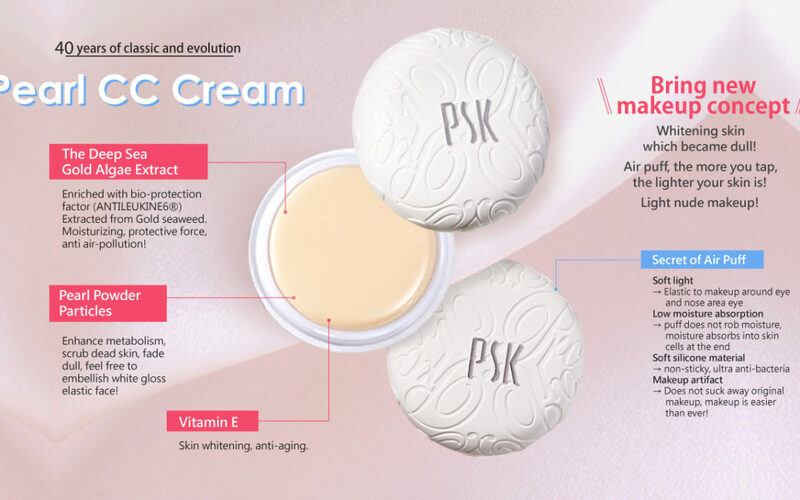 PSK CC Cream is enriched with bio-protection factor extracted from Deep-sea red algae, creates moisturizing, protective force, and anti air-pollution effects! TRY NOW, for a natural makeup effect.